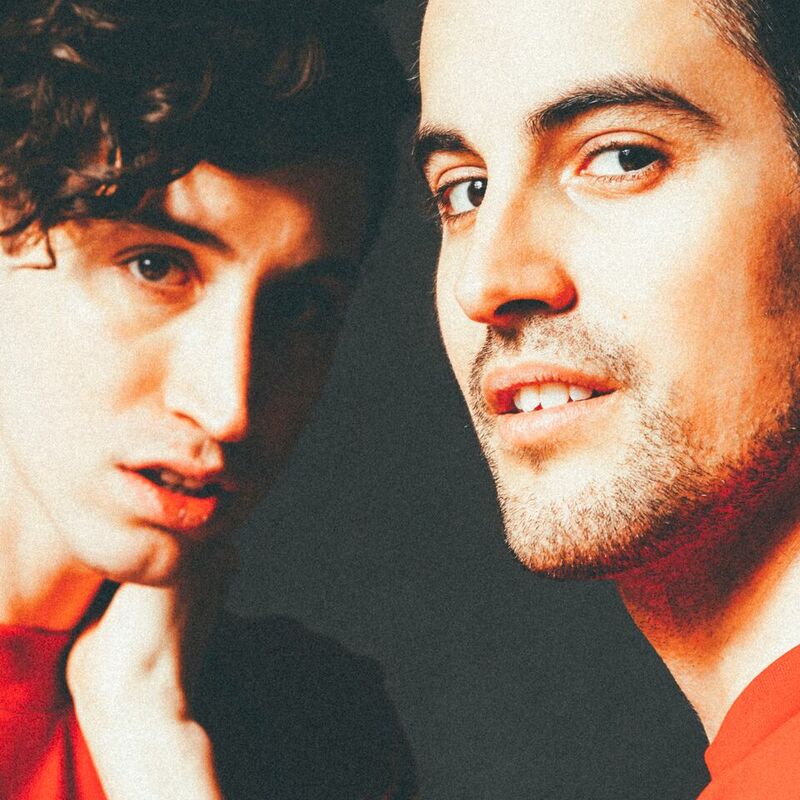 Critically-acclaimed Brooklyn duo Secret Weapons recently unveiled their stunning new single “Comeback Season” via Billboard – PRESS HERE to listen! The track is the second to be released from the band’s highly-anticipated debut album As The Setting Sun Comes Crashing Down On Me, which will be released on August 18 via Epic Records. 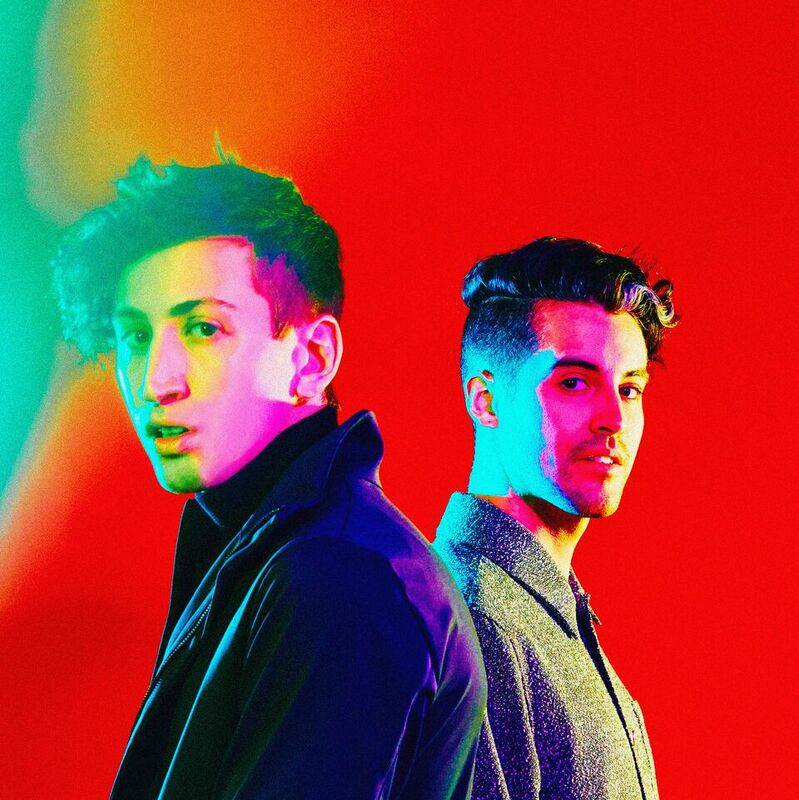 The first single from the collection, “Ghost” was released in June and quickly topped the Hype Machine charts, earning praise from Nylon, Earmilk, HighClouds, Disco Naivete and more. PRESS HERE to watch the music video for the track. The duo’s debut single “Something New” peaked at #1 on Hype Machine and the Spotify Viral Charts, as well as garnering praise from Billboard and Elvis Duran who dubbed them “Artist of the Month.” Meanwhile, they performed the song on NBC’s the Today Show with Kathie Lee & Hoda and went on to support Panic! At The Disco, Fall Out Boy, and Weezer on the road. To date, the track has amassed over 4.1 million Spotify streams and counting. 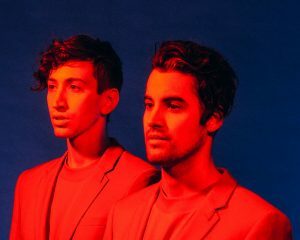 Following the release of their self-titled Secret Weapons EP, the guys hunkered down and began work on what would become their debut album. We’re hanging at Dan’s apartment in NYC sorting through all the craziness that comes in whenever we release a new song. We’ve got a disco edit on in the background of Another One Bites the Dust, it’s like a crazy 8 minute version of the song that we’re obsessed with. When we’re hanging out we often listen to dance cuts, not a lot of low energy moments in this band. 2017 was a really important year for us. We finished our album that we’ve spent an incredibly long time on. We took a little break from the road to really pick apart every little detail of our music in a way we never have before. Growing up, did you both always want to be musicians? Can you recall the moment you realized that you could really make music together and be a band? Why do you think your name truly represents this group and the music that you create? It’s all we ever wanted to be. In second grade Dan did a project where he had a to make a life-size cut out of what he wanted to be when he grew up and he created what he then in the 90s called “a rocker”. Dan was visiting Gerry at college upstate when they started writing a song together out of nowhere and the rest was history. I always like to ask artists how their hometown has been an influence on the kind of music they make and really what kind of a band they are today. So how do you think New York City has affected you? It’s a huge part of our identity. We are New York, and New York is ingrained in every single ounce of our music and souls. There’s a certain sense of chaos and at the same time isolation that is integral to our beings. More importantly, it’s our close hometown friends and fans who really supported the early days years of our music. Let’s talk about your new single “Ghost.” What was the inspiration for this track? How will it go along with the rest of your debut album set for release last this summer via Epic Records? Ghost was written after we both had horrible drug episodes that left us feeling like Ghosts in our own body. It figures with the rest of the album in its rhythms. We’re obsessed with grooves and percussion and this is the first real taste of that off the new LP. What was it like shooting the video for “Ghost”? How creatively involved were you both with the process? We were as hands on as you can get, from dreaming up this entire world, creating the story we wanted to tell, selecting the animator, shooting, and even acting for motion capture. It’s really our vision brought to life. Where did the idea to do a Facebook Live Acoustic Concert come from? Where will you be doing it from? Speaking of Facebook, how do you two keep up all your social media sites? Do you find it difficult at times to keep up with it all? Someone suggested it on twitter and we loved the idea. We did it in Dan’s apartment where we do pretty much everything. Keeping up with socials is not easy, there’s a lot and it’s tough to turn off the noise and create sometimes, but our fans are everything to us and it’s the best way to keep in touch with them. How do you think you and your music have grown since your 2016 self-titled EP? What has remained the same? It’s grown the most in its themes. We really thought a lot about the stories we wanted to tell on this album and fully realized everything we stood for. We have a unique platform here and there are certain things we felt needed to be said. What’s remained the same is our energy – we want to make you feel something, no matter what it is, and we guarantee you’ll have that experience whether it’s live or listening to the records. What are your plans for the rest of this summer? Do you have any tour dates lined up? We’re getting ready for the road and to putting out the full length. We’ve got our first tour run lined up in September with much much more to come. Too many to name, but the Killers, Coldplay, Muse, Duran Duran, Queen, U2, Arcade Fire, LCD Soundsystem and sooo many electronic and dance artists. We love a lot of different music. That there is a light at the end of a tunnel. That we’re in this crazy thing called life together and we can overcome as one. We’re more than just a band, we’re a message, and our latest song Comeback Season sums that up perfectly. Work 24 hours a day. Live and breathe your work. Don’t worry about what other people are doing but have respect for those you aspire to be like. Learn from them, but don’t copy. Write, write and re-write.